When traveling by airline you are allowed to carry your pet in the cabin when the pets’ length is not larger than 47 cm, its width 30 cm and its height 27 cm. 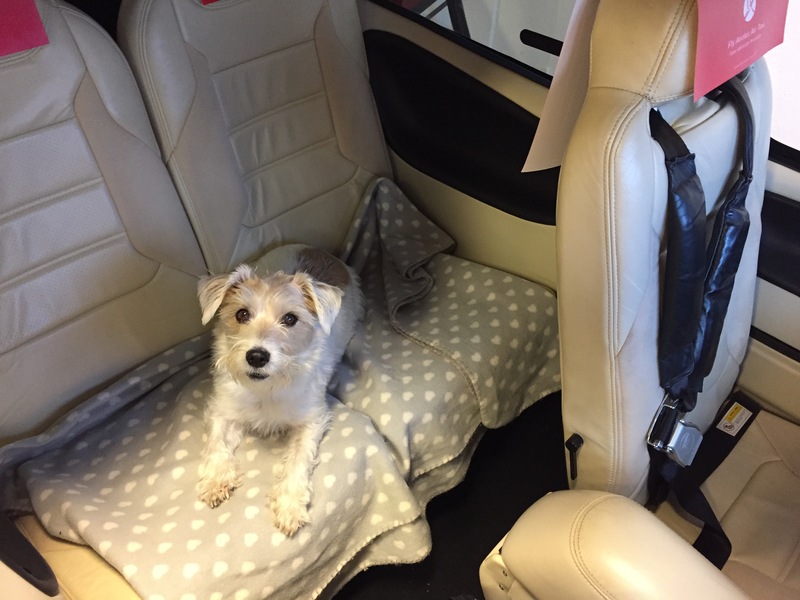 The pet may also not exceed 10 kg and it must be placed under your seat in a special bag. The bag may not be opened or moved for safety reasons. This seems very stressful for the pet and very least comfortable. Albeit it is always better than putting them in a cage in the aircraft’s cargo hold. Being treated like luggage is a traumatic experience for all animals, as the cramped conditions are not only cruel, but they are also dangerous. Tragically, every year there are numerous cases of pets being injured and even killed during commercial flights! This is something you don’t want to happen with your family member. 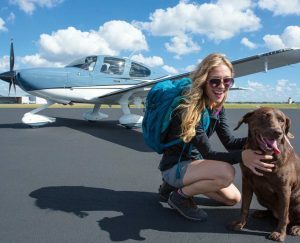 Many pet loving people therefore are looking for alternatives to traditional commercial flights. It is in the best interest of the animal to have a comfortable and relaxing flight like their owners do, and this is why Fly Aeolus treats every animal who flies with us like a VIP! When flying privately you have the pet with you at all times. They will not be locked in the baggage compartment, instead they will sit next to you on a blanket nice and cosy! In our opinion this is the only way to be sure that your beloved pet is comfortable, relaxing and safe. Pet travel 2.0 at its best! Has a pet passport or third-country official veterinary certificate. Flies with an approved charter company approved to carry pets. Lands on an approved airport that is allowed to check pets. If you do not follow these rules your lovely pet can be put into quarantine for up to 4 months!! But what after the Brexit? Hereby the advice for pet owners planning to take a pet to any EU country after the 29th of March 2019 in the unlikely event of the UK leaving the EU without a deal. Limit food and water intake, you should provide your pet with water before the flight, but not excessive consumption. This should reduce your pet’s need having to go to the bathroom during flight. Going for a walk before a flight will calm your pet’s nerves and allow it to go to the bathroom before the flight. In the best case he also will be tired from the walk, so he probably will sleep during the private flight. Feeding pets smaller meals will also reduce the risk of vomiting or an upset stomach. After landing the pet might be hungry and thirsty. Allow the animal plenty of water and an appropriate amount of food and go for a walk so that the animal can acclimate. Schedule an appointment with the vet to ensure that your pet received all the vaccinations necessary for travel. Be sure to let the vet know about your upcoming travel plans. Make sure that your pet has ID tags with the latest data on it and that these are secure on their collar. If your pet runs off while you’re on travel, it is essential that he or she can be returned to you. Don’t forget to bring your pet’s favorite toys. Even in the comfort of a private aircraft, travelling can be overwhelming for an animal so make the journey as easy and stress-free as possible. Use a harness for your pet. Humans also need to buckle up for takeoff, landing and during turbulence, and this also applies for pets. Having a loose animal in the cabin during these stages of the flight can be dangerous. Some owners outfit their pets with harnesses that connect to the aircraft seat belt. The flight that will be performed by a Fly Aeolus Air Taxi can take up to 5 hours maximum, depending on the passenger amount. With two persons and a pet the maximum endurance of the Cirrus SR22 aircraft will be 3 or 4 hours, enough to have a relaxing flight without the pet experiencing any stress! If you like to fly further, we can make a short stop so that the pet can have a short walk while we refuel the private aircraft. There is no question. 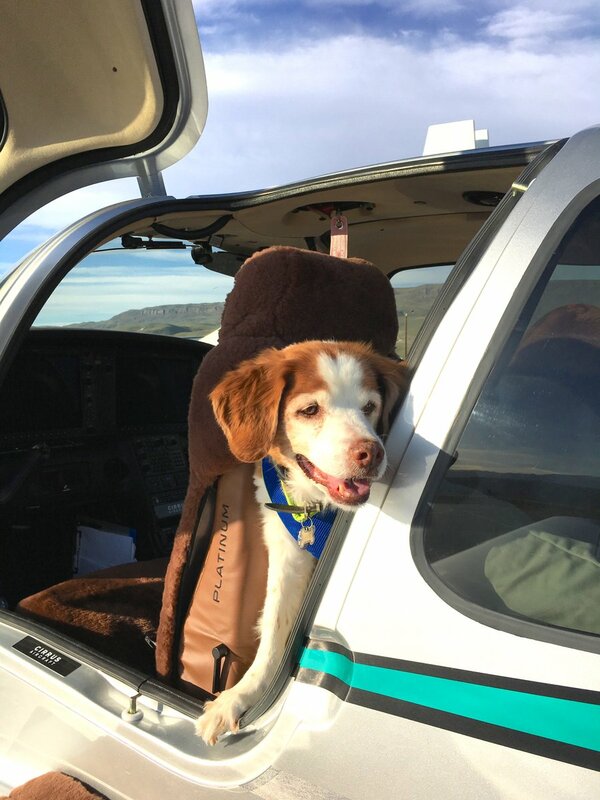 Flying by private jet or air taxi makes the trip easier on the pet and their owners! We would be delighted to help you and your pet to fly private, so for flight requests or for more information please do not hesitate to contact us at info@flyaeolus.com or call us at +32 (0)3 500 9082 , +31 (0)15 820 0999 or +49 (0)30 9789 6996.